We've got the house sparkling clean. The refrigerator stocked full of goodies. The guest room all set up with clean sheets & fresh flowers. Today my Phoenix best friend & her boyfriend are coming to visit for a long weekend! 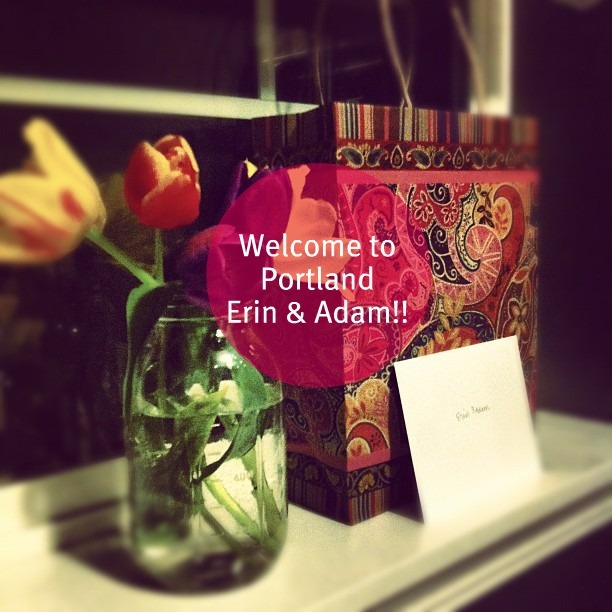 They've never been to Portland, so we're going to show them everything that this wonderful city has to offer. We're taking them to Powell's Books, VooDoo Doughnuts, Multnomah Falls, a good happy hour spot, a popular breakfast spot... & then anything else that they can think of! what are your recommended "must-see's" or "must-do's"? how fun! hope ya'll have a great weekend of fun! Bring 'em out to wine country! aww that is SO fun! have a great time. if i visited portland again i would DEF go back to voodoo.. i dont care how toristy it is, those were some good donuts! Awww you are the cutest hostess with the mostest!! Hope you have a blast with your friends! so fun! I love this city....foodwise, brunch at Screen Door but be prepared to wait! Good HH at Melt Sandwiches on NW 21st & Irving and it goes all night!